18.02.2011 » Mourinho: "Cristiano Ronaldo will start against Levante"
Real Madrid coach, José Mourinho, complained about the Spanish League calendar and lack of flexibility to help the national teams. The "Special One" also revealed that Cristiano Ronaldo will start against Levante. José Mourinho decided not to give rest to Cristiano Ronaldo in the next match against Levante, even knowing that Real Madrid will play against Lyon for the UEFA Champions League next tuesday. The "Special One" already said in the past, that Cristiano Ronaldo should play in every match, and this time it won't be different. 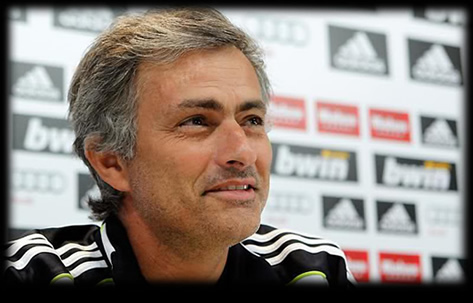 Mourinho: "The game against Levante is the most important game of my career, simply because it's the next game. There are still 100 days ahead of us, before this seasons ends." It was then asked to the coach, if CR7 will play against Levante and the answer was quite conclusive: "Cristiano Ronaldo will start against Levante because I don't see any need to give him rest." Once again, it seems Ronaldo is just one level above all the rest in the world, in terms of physical condition and preparation. However, Mourinho added that he'll make a few changes in the team, regarding the match against Olympique Lyon: "There will be 2 or 3 changes. Initially, I thought about resting Ricardo Carvalho instead of Pepe, but the truth is that Carvalho is more used to play matches every 3 days." The portuguese manager, also showed his disagreement towards the Spanish League calendar for this season. Mourinho: "I don't care if Real Madrid plays before or after Barcelona. They would never do what pleases me the most. But I would like to be able to play this Friday against Levante for example, just like Lyon will do in the French League. Sevilla played yesterday for the UEFA Europa League against F.C. Porto, and will play again this Sunday, but Porto won't have to play this weekend for the Portuguese League. In Germany, France or Italy, there are agreements made, that benefit the local teams and that doesn't happen in Spain. I would also like to play against Deportivo in the next Saturday, but they scheduled the game for Sunday. The pressure of having to play before or after Barcelona doesn't matter to me. You can't fool me...". And here's one of the reasons why José Mourinho is called the "Special One". About their opponent this Saturday, Mourinho praised Levante: "We have to respect a team that already played against us three times and only lost one of them. They won to Villarreal and they are safe from the relegation zone. They are a side with very dangerous players and the best of them is surely Felipe Caicedo. We have to respect them as a team. There will be no revenge feeling from the 8-0 win, achieved in last December. I don't like that word." To end up this pre match conference, Mourinho approached Benzema topic: "I don't see how the arrival of Adebayor could be negative to him. There is not a single big team in the world, who doesn't have competition for the striker/forward position. And when Higuain returns, the situation will be even better." We remind all fans that you can watch Real Madrid x Levante in the Live Game Streams section, this Saturday.